Hey!! I'm on summer break now!! 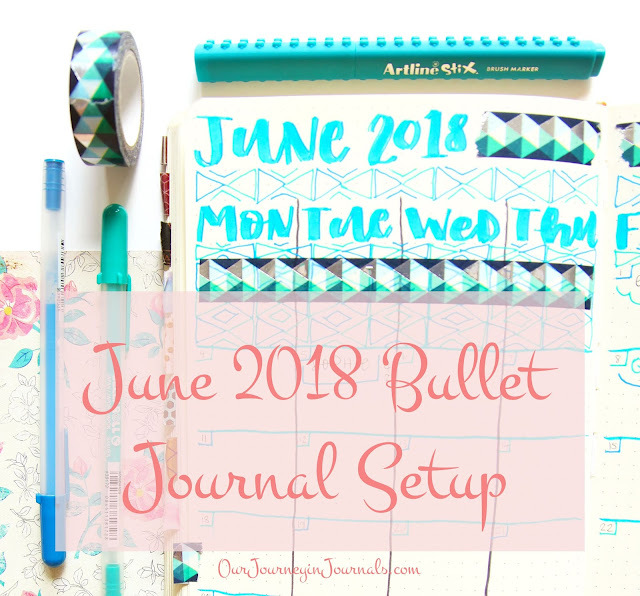 Now, it's time to set up my bullet journal for June. I've felt bad because I've been so inconsistent this school year in terms of posting here (throwback to when I actually posted every week), and I'd like to post more since school has ended. However, that's probably not going to happen considering I'm going to be in China on vacation from June 16th to July 18th. 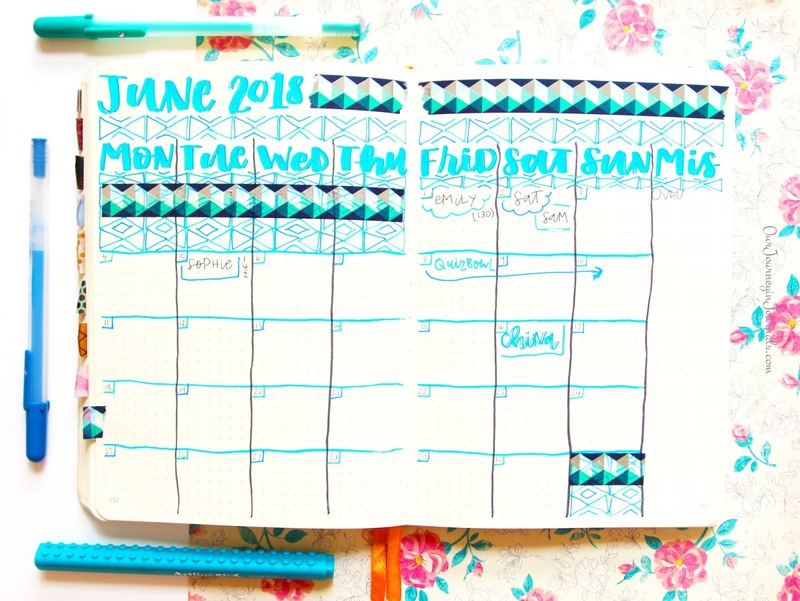 Anyway, regardless of all that, here's my bujo setup for June! First of all, here is my May monthly spread at the end of the month. This is my June monthly spread! I decided to go with a blue theme using an Artline Stix brush marker, a Sakura Moonlight Gelly Roll in a teal blue (#429) and a royal blue (#436), and washi tape I got while in New York City over the summer. I also used a black Artline Stix brush marker and a Muji 0.7 mm ballpoint pen to do other parts of the calendar. 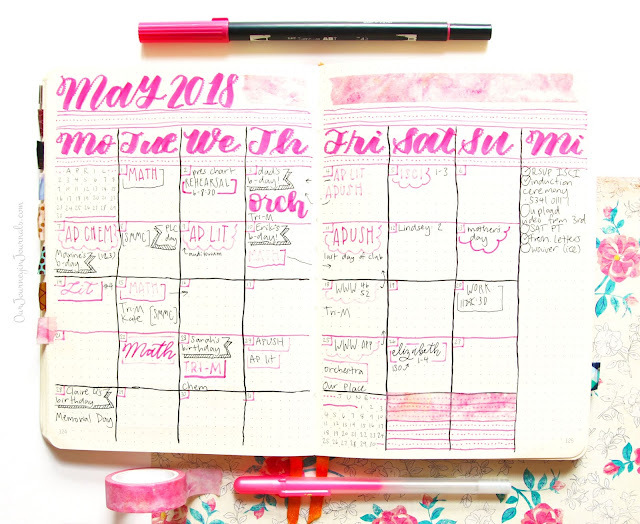 This month, I decided to finally stop doing the mini calendars in my monthly spread for the previous and next month as I had been doing ever since I started bullet journaling. 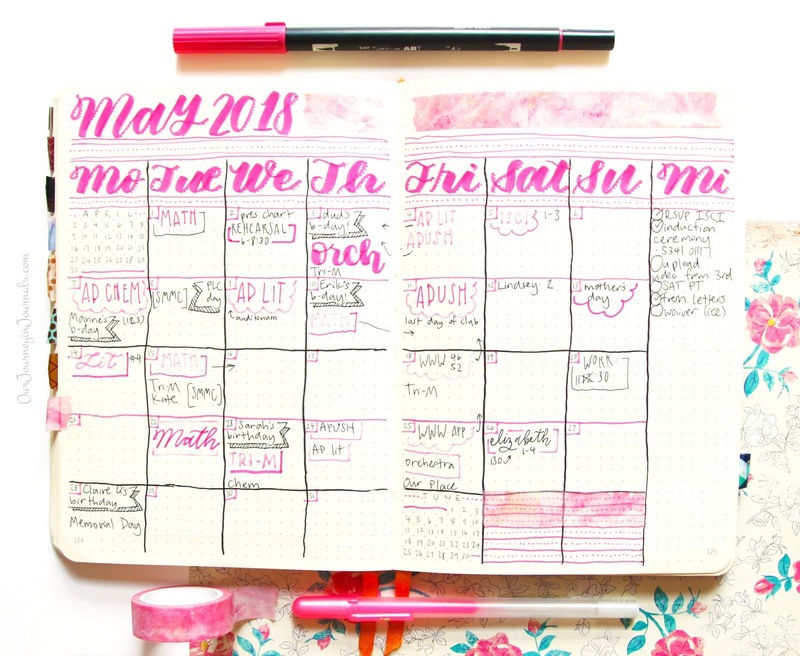 The reason is that I just don't really ever use them; in any instance where they'd be helpful, I always instinctively use either the previous month's monthly spread or the full year calendar in my bullet journal. 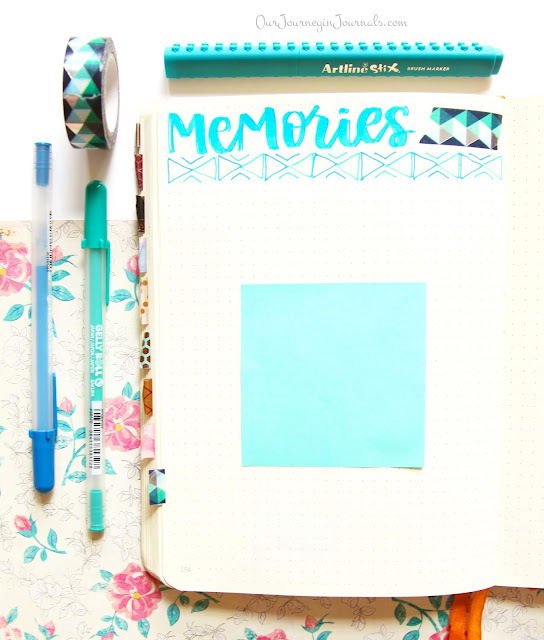 I think I had been incorporating them in my monthly spreads solely because I had been doing it for so long. This is my blank monthly memories spread for June. I still haven't done my monthly memories since January, but since out of school is out now, I hope to get them done soon. That's it for my June bullet journal setup! Hope y'all have a good summer! What are your plans for the summer? Let me know in the comments below!